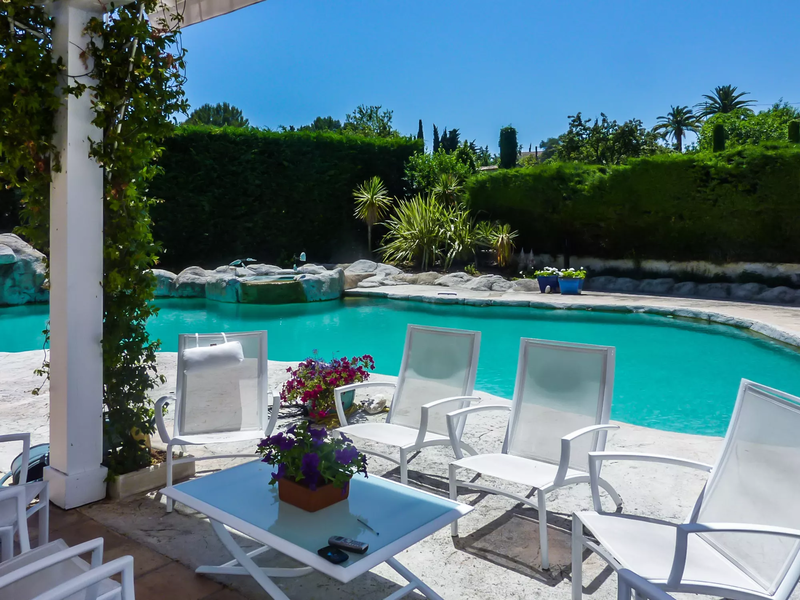 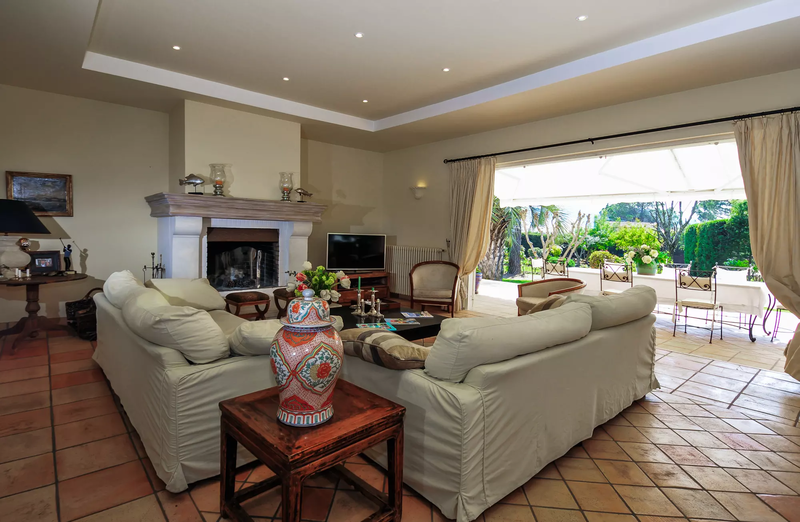 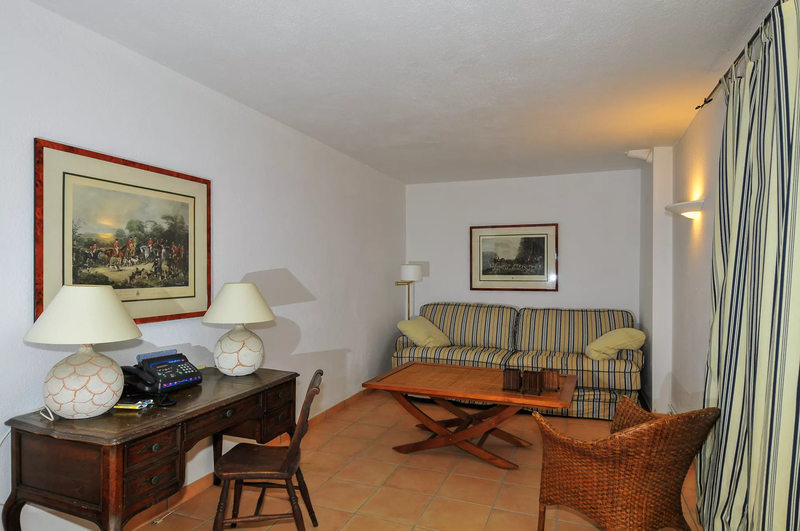 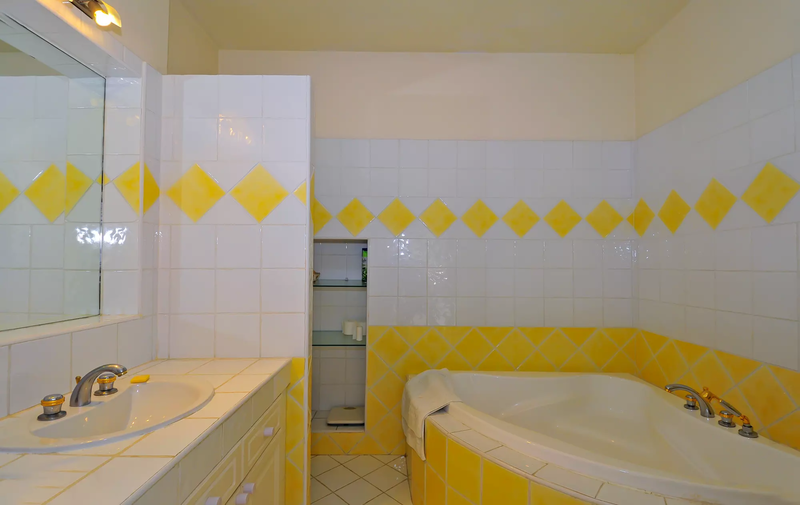 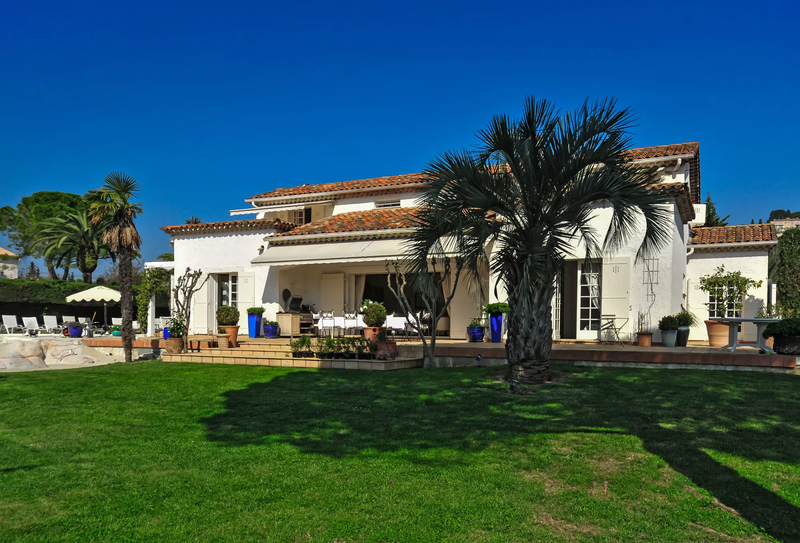 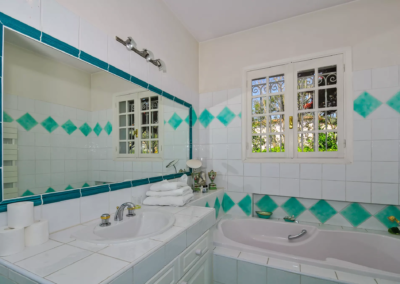 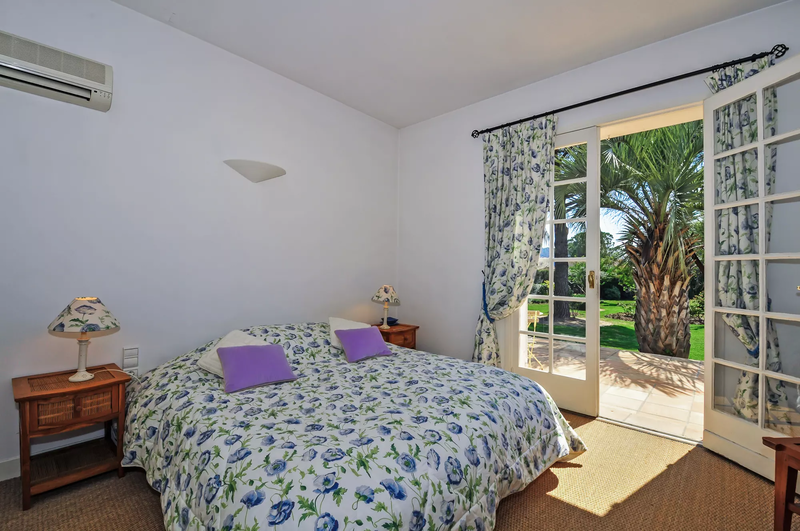 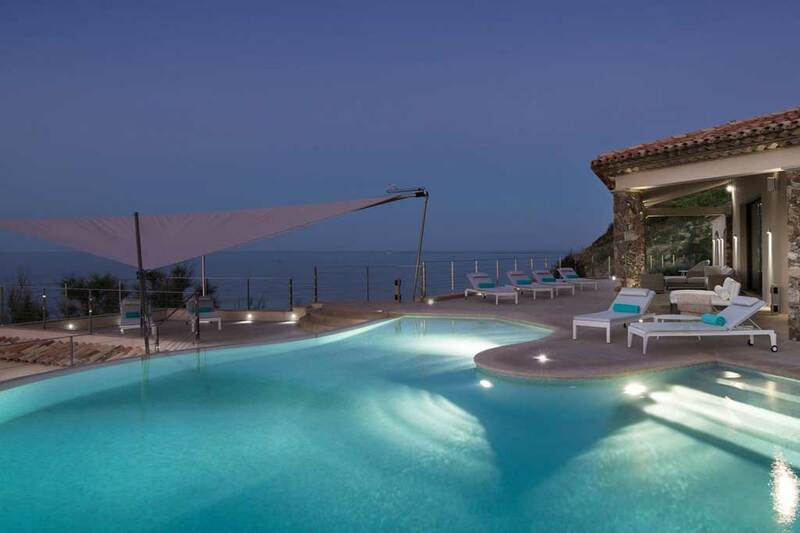 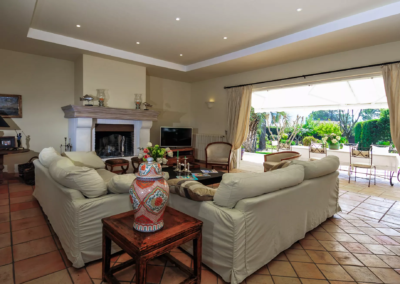 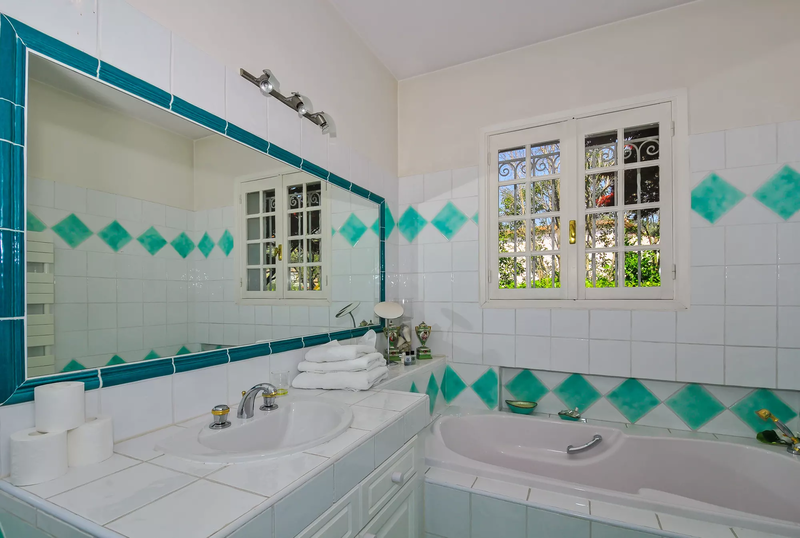 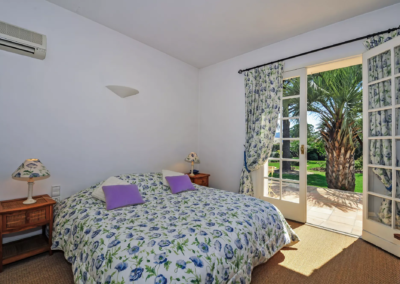 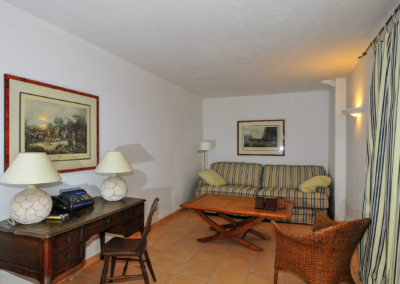 L’Estivale is a beautiful, comfortably furnished, bright and airy villa, with air conditioning throughout, an attractive heated pool with spa, current and waterfall features. 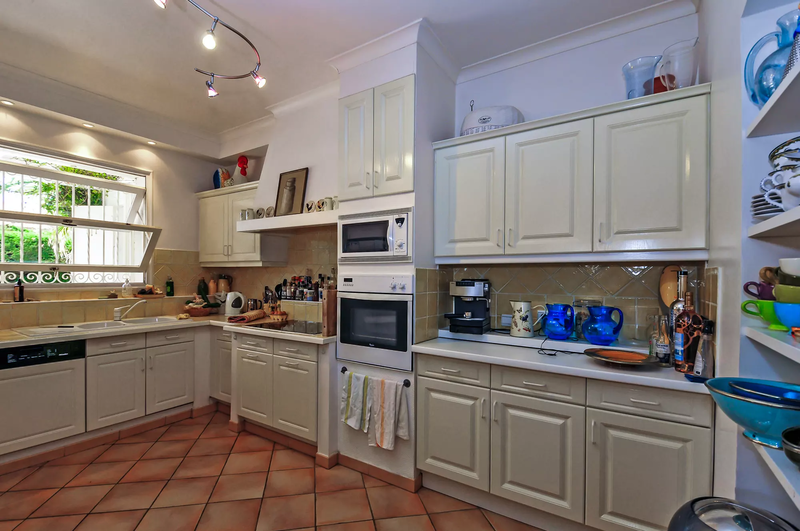 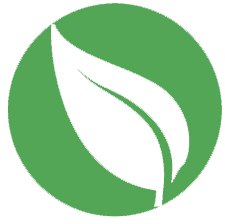 A ten-minute stroll will bring you to a selection of convenient local shops, ideal for your everyday groceries. 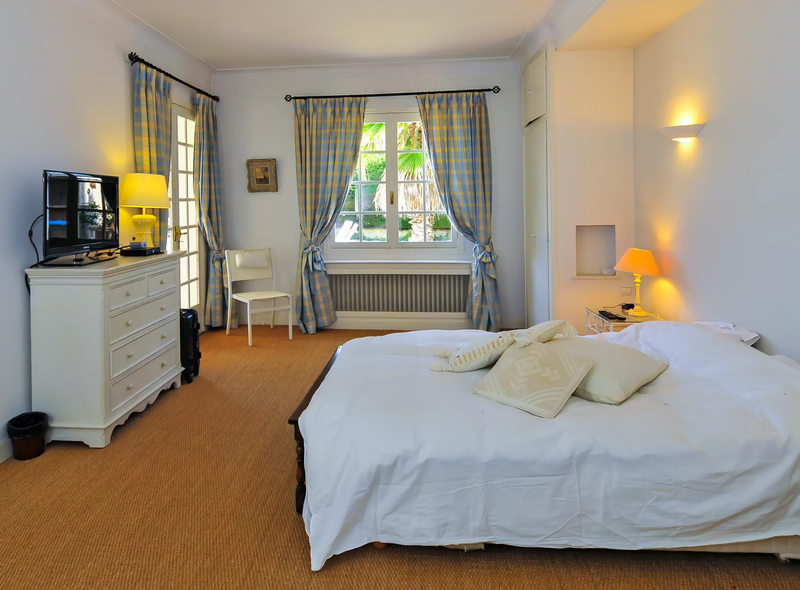 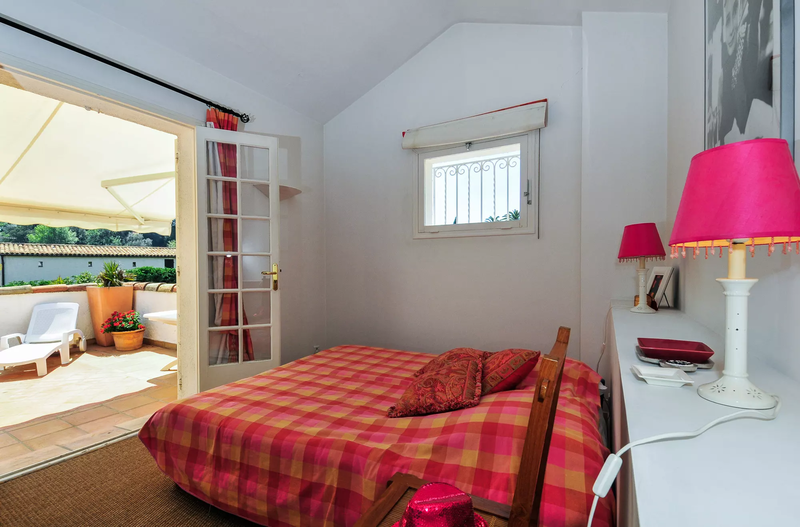 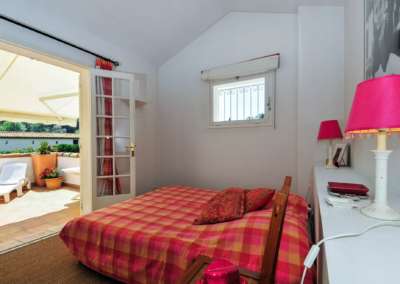 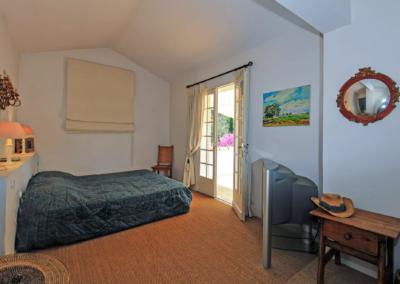 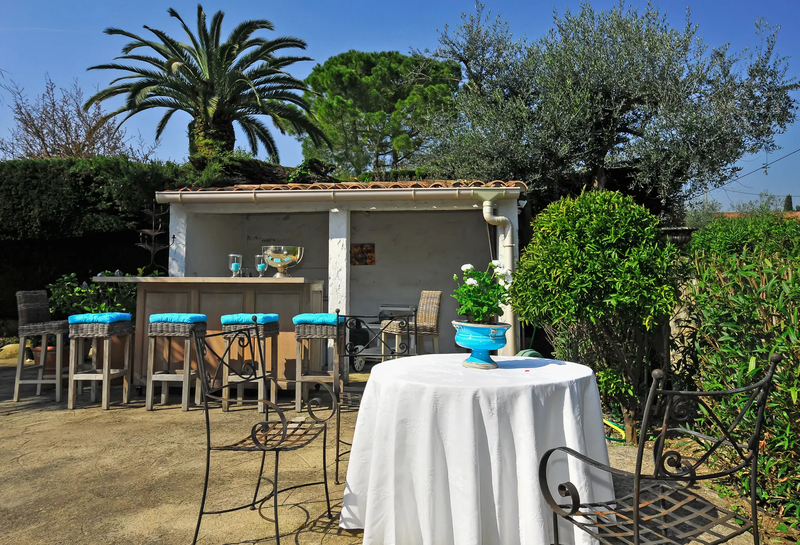 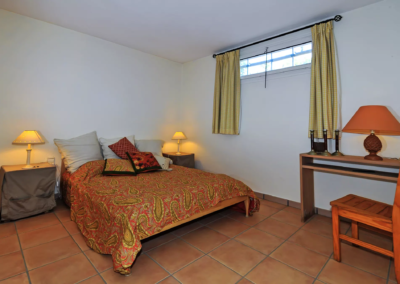 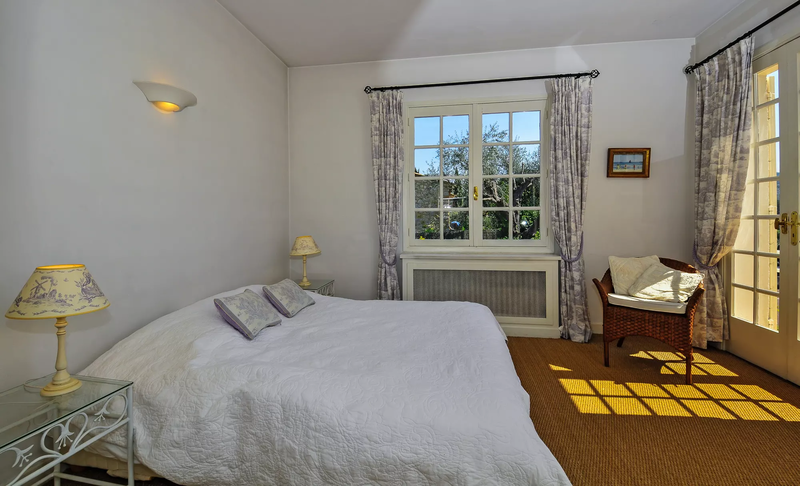 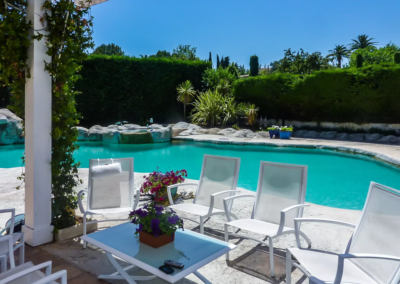 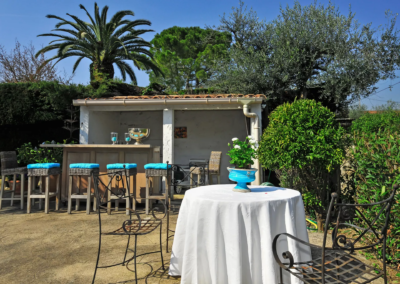 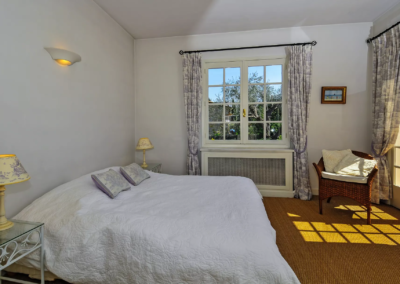 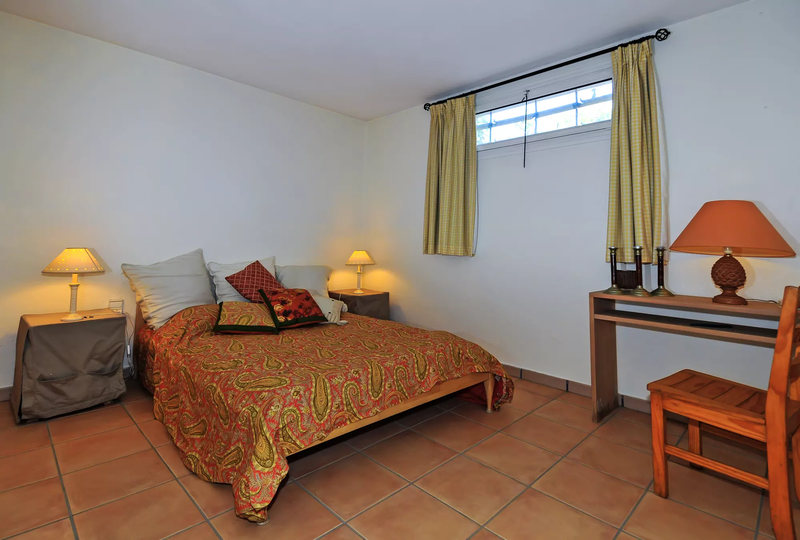 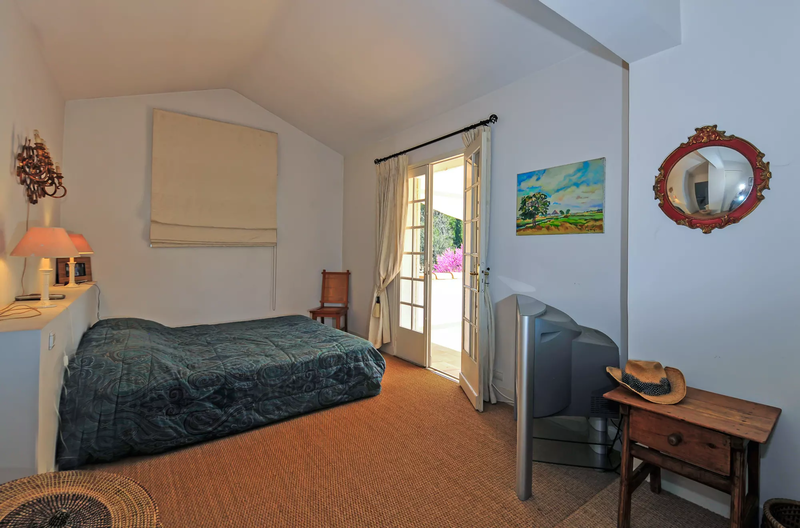 Just a couple of miles away is Mougins historic old town where you can enjoy excellent dining, and the villa is just a short drive from the Riviera nightlife and beaches. 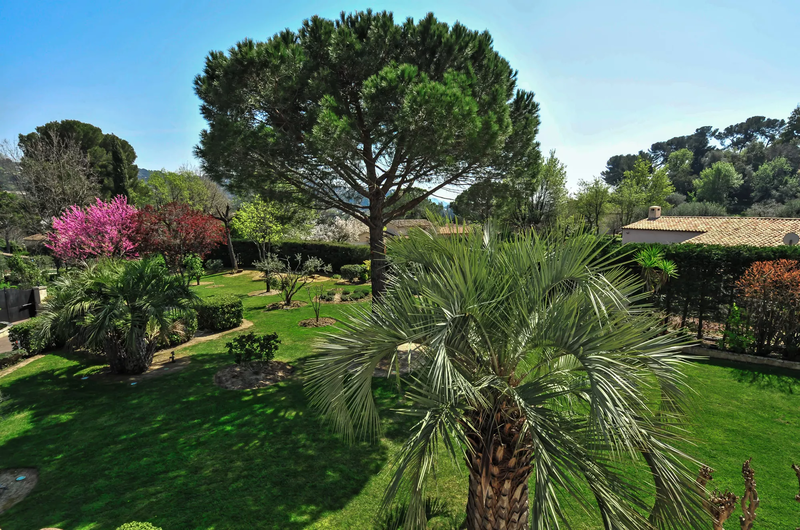 Mougins itself is an attractive medieval perched village where you will find narrow winding streets to stroll around, pavement cafes, shops and some excellent restaurants; it also boasts a highly recommended art museum. 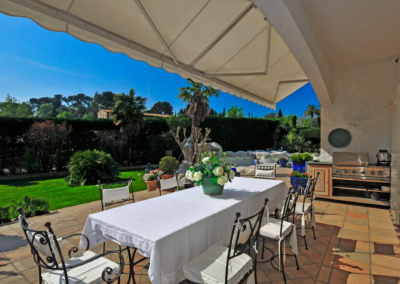 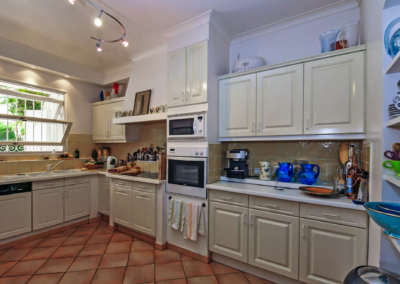 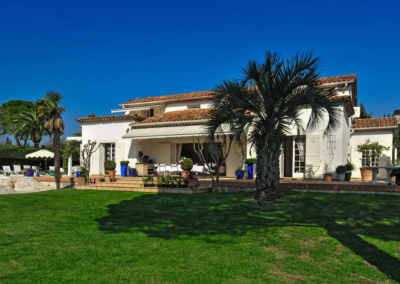 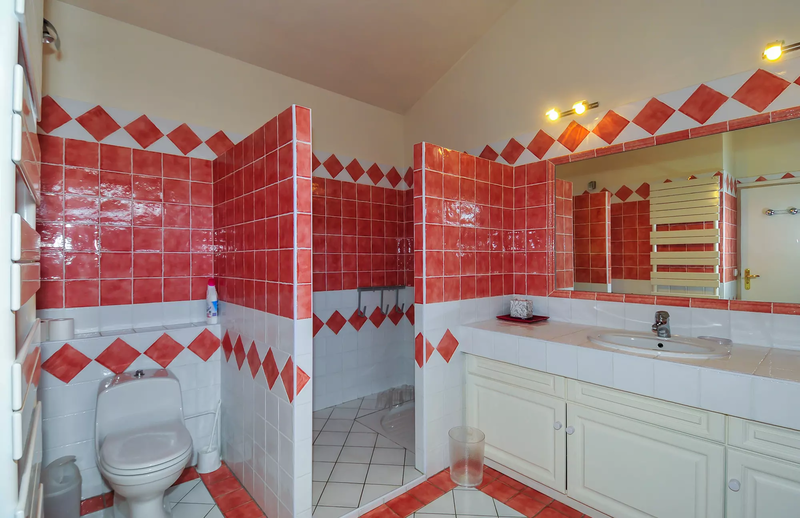 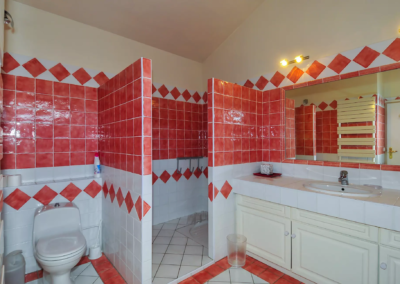 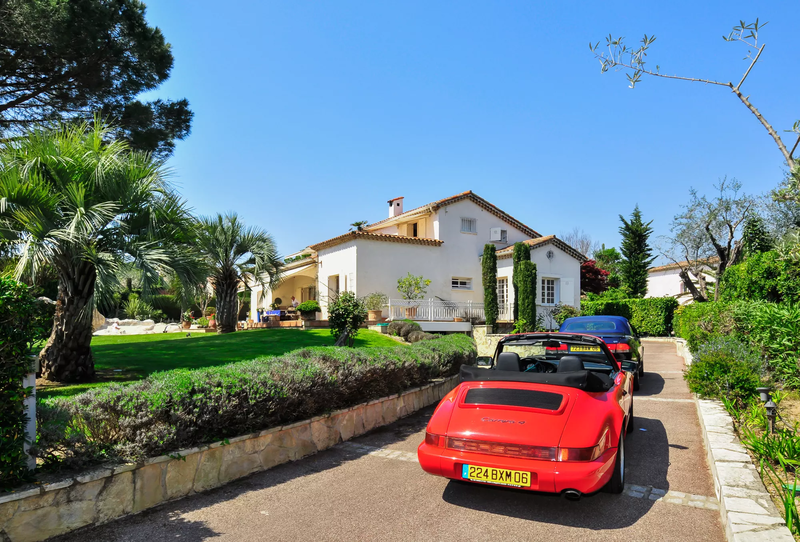 At L’Estivale you are within very easy reach of numerous highly appealing villages and towns, such as Valbonne, Cannes, Grasse and Antibes, so you can really get to know the Cote d’Azur very well indeed. If art is your thing, don’t miss the Chagall museum in Nice, where you may also enjoy strolling along the Promenade des Anglais and visiting the famous flower market. 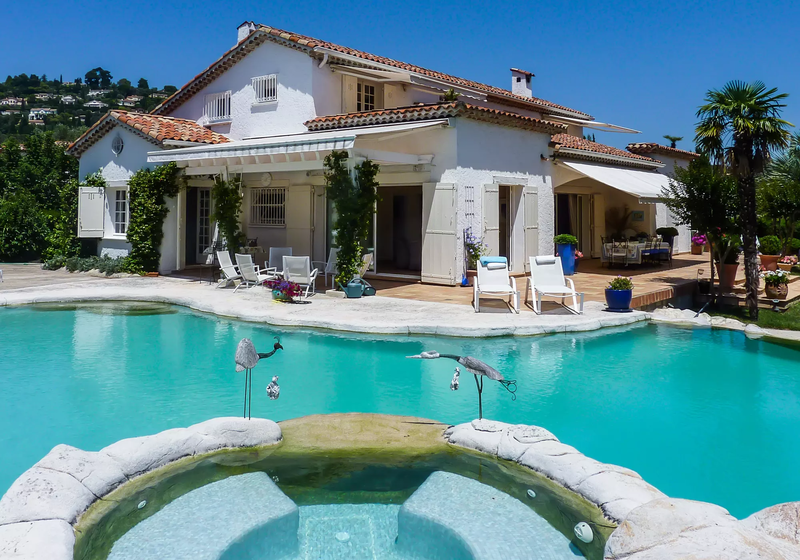 The children will love Aquasplash & Marineland at Antibes, whilst the adults might prefer to experience the authentic atmosphere of Grasse’s historic centre or to spend time relaxing in Cannes’ chic old town (Le Suquet) or on the palm-lined seafront boulevard La Croisette. 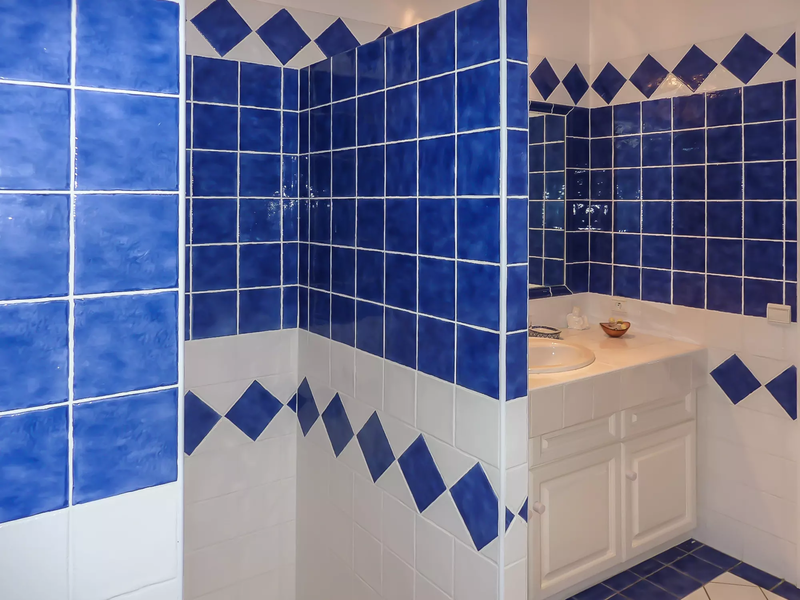 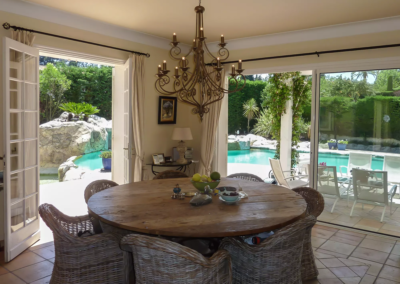 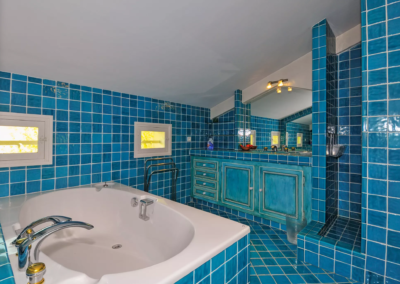 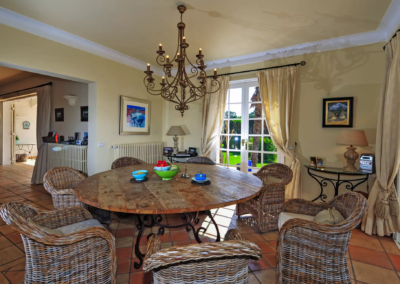 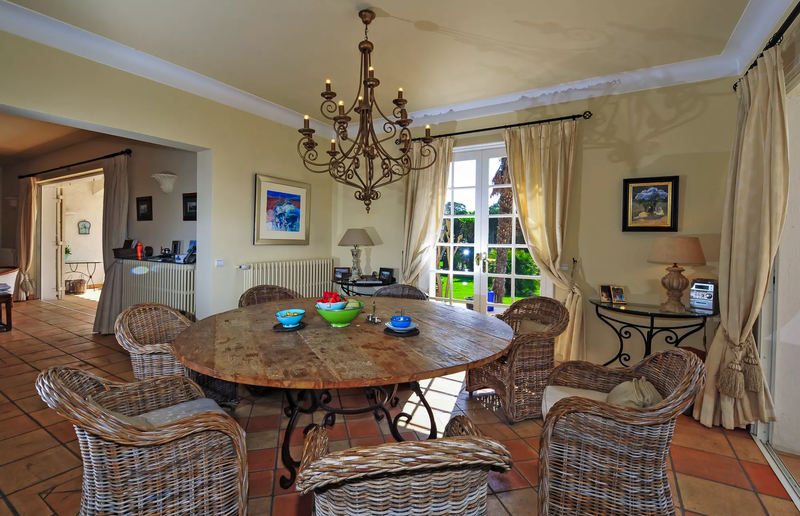 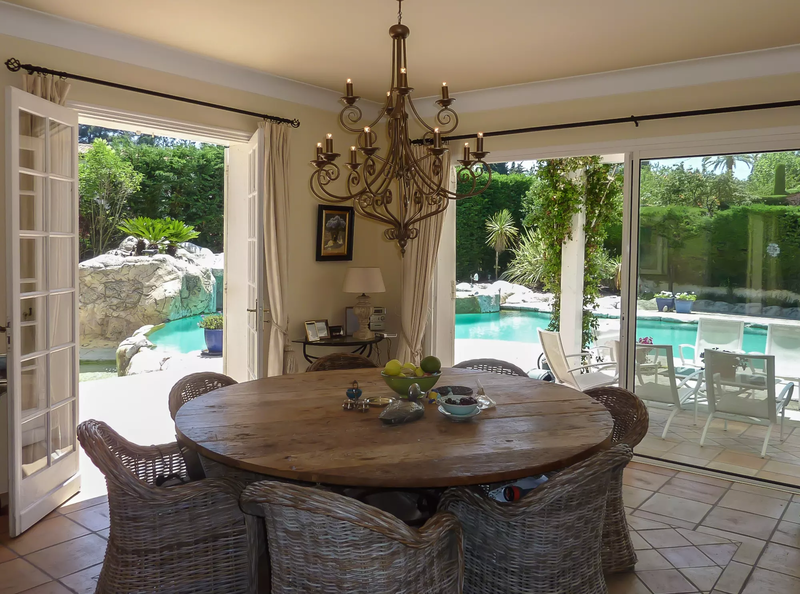 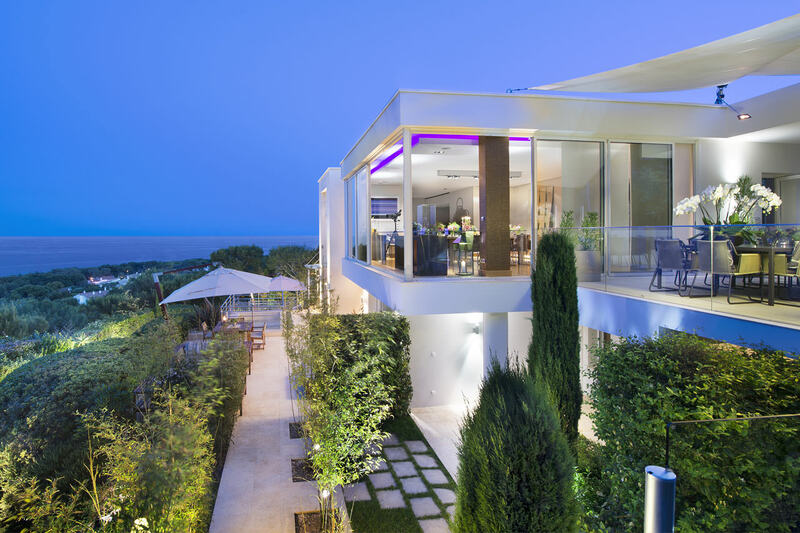 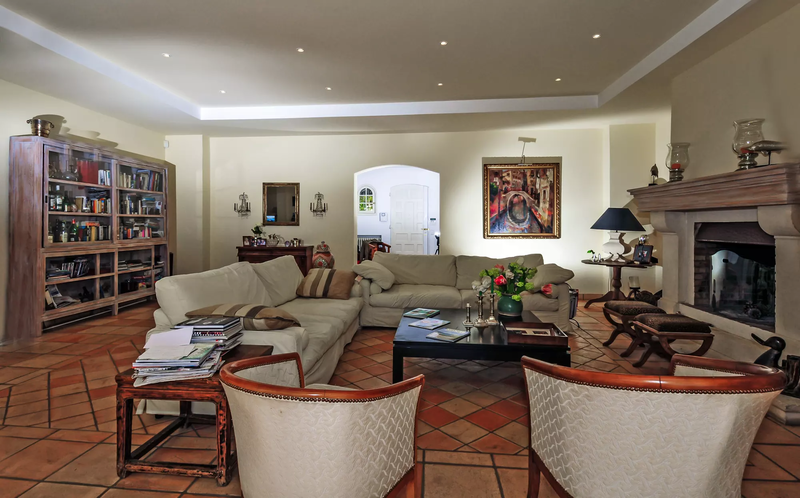 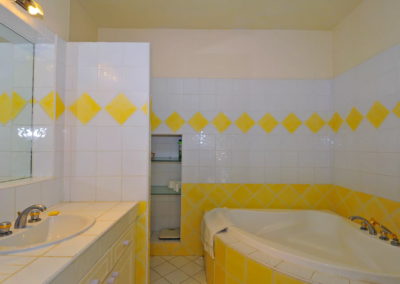 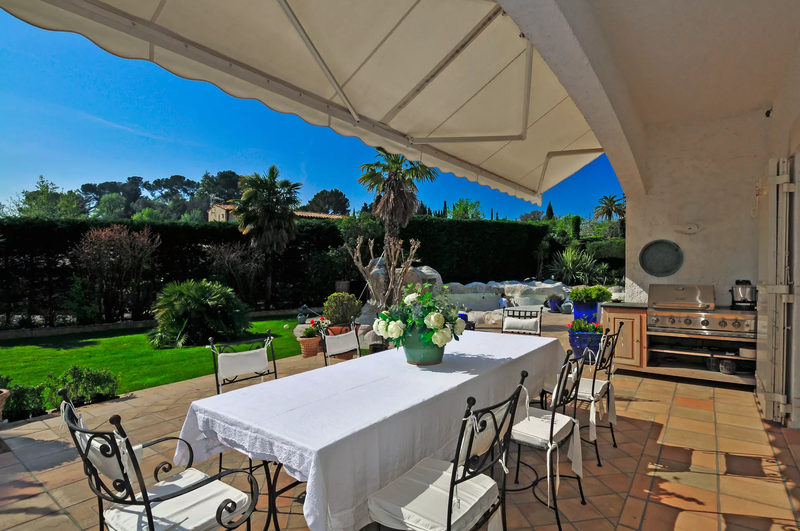 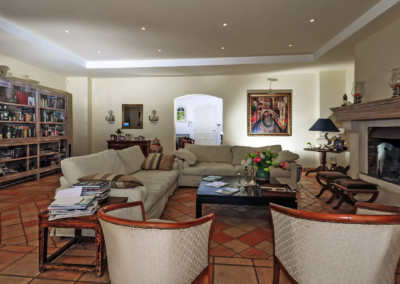 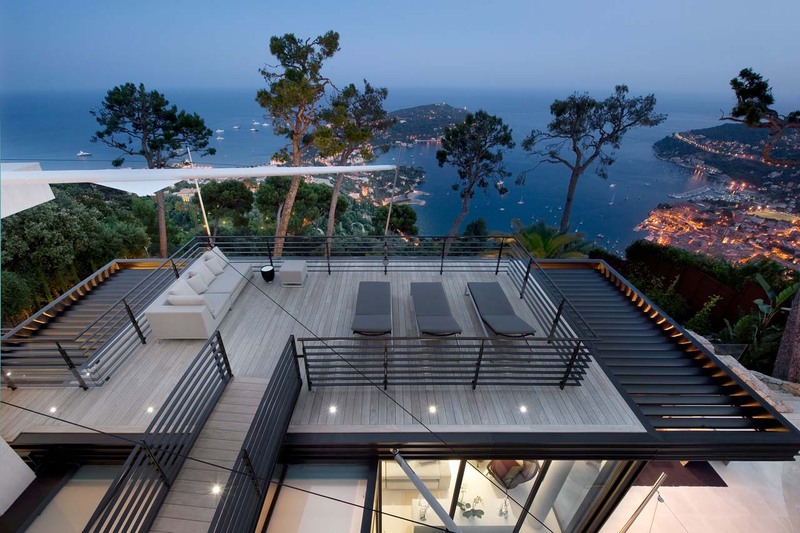 This superb Mougins villa with air conditioning is available all year round, and is certain to feature in some special holiday moments that will be remembered by the whole family for years. 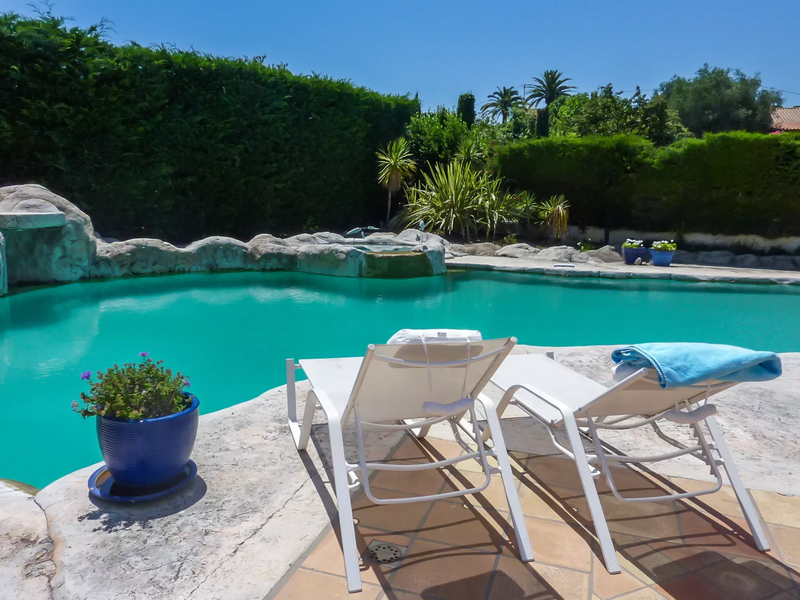 The cozy, private atmosphere and the heated pool with spa features.